The Bank of England governor now has more confidence in the UK economy, in a speech which could stoke expectations of an interest rate rise in August. 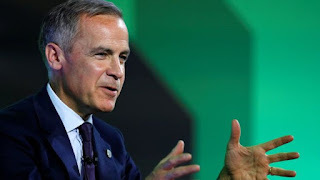 Mark Carney said recent data had given him "greater confidence" that weak first-quarter growth "was largely due to the weather". He said household spending and sentiment had "bounced back strongly". England winning the World Cup would be an "unalloyed, unadulterated absolute good" for the economy, Mr Carney added.